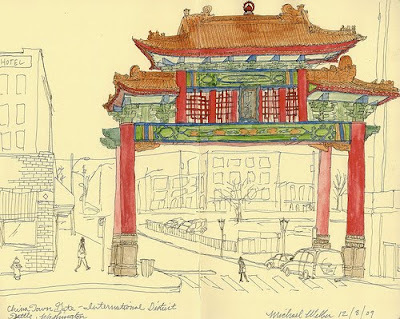 I braved the cold today and did a sketch of the Chinatown gate in Seattle. I haven't done much watercolor before, but I decided to experiment with it in my sketchbook so I could capture the nice colors of the gate. gorgeous sketch! love the warm colors too.